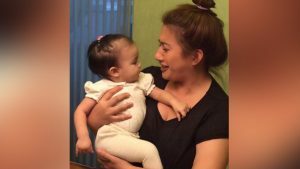 Photos: Baby Zia with Ninang Ana Feleo! 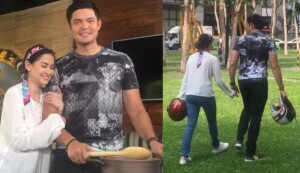 Photos: Baby Zia binisita si Daddy Dong at Mommy Marian sa Sunday Pinasaya Rehearsals! Photos: behind the scenes photos of DongYan in Yan ang Morning! Look: Baby Zia goes to baby school! 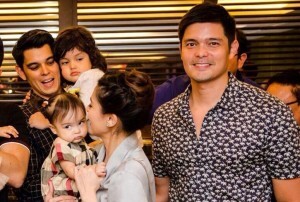 Baby Zia and Baby Zion met at a kiddy Birthday Party! Baby Zia turns 8th month Old! Marian Rivera-Dantes is the creative director of her own photoshoot for Nailandia’s new campaign! 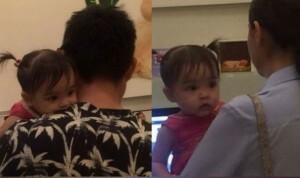 PICS: Daddy Dong & Baby Zia spotted at Legazpi Sunday Market! LOOK: Beautiful sight of Dingdong & Zia admiring the sunset! PHOTOS: Marian Dantes’ amazing post-baby body!